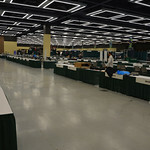 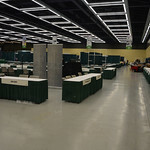 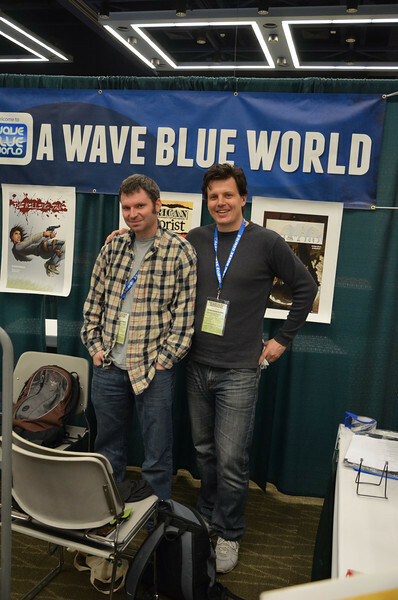 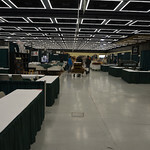 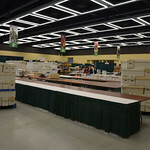 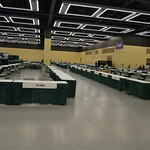 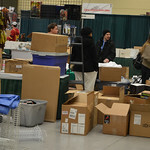 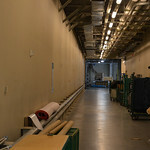 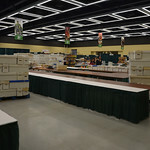 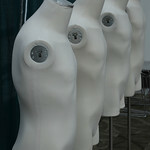 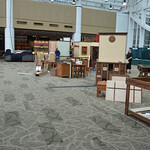 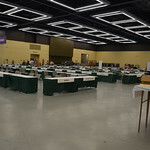 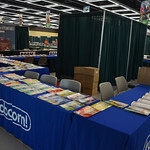 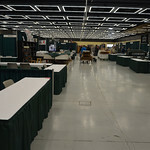 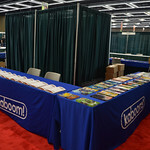 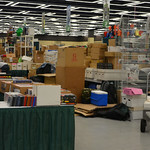 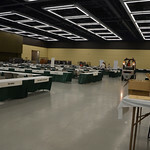 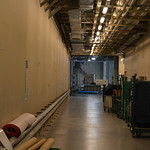 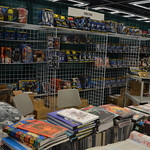 Yesterday was the setup and preparation day for the biggest most awesome comic book show here in Seattle. 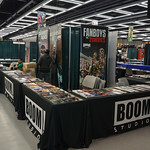 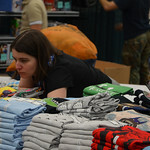 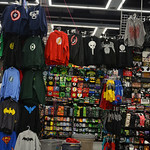 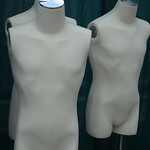 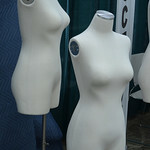 Emerald City Comic Con starts at 2PM today and goes until 8PM. 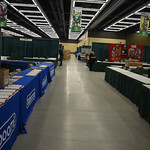 But have you ever wondered what a comic book convention looks like before all the people show up? 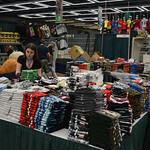 The vendors were hard at work yesterday in both the regular vendor area on Floor 4, and Artists Alley on the Sky Bridge and Galleria area on Floor 4 putting things together. 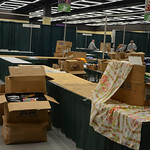 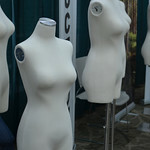 We had the time to wander around a little bit and take some pictures of the folks setting up and getting ready for you to come on down and have some fun with it. 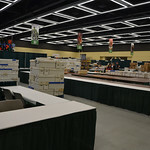 Seriously Emerald City Comic Con is sold out, you can’t get any more tickets, if you don’t have them now, and you can’t get them at the convention. 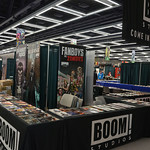 I think this is the first time that the whole place has ever been sold out period. 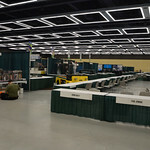 This is really awesome because that means between 30 and 40 thousand people are going to show up over the weekend, and that ECCC is getting a tad too big for the convention center on its own. 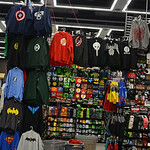 There are worst problems to have in this world. 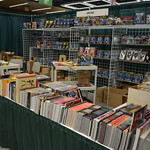 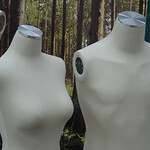 So take a look through the pictures and have some fun with it. 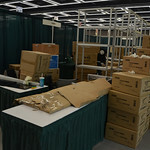 Seeing how things happen during preparation and setup is something that not everyone has a chance to see, and we are glad to bring it to you today.